Big Media Co really go the extra mile, going above and beyond to ensure that your event goes well. Sit back and relax as everything goes to plan with us on hand. With many years of experience, we are the regions leading equipment hire experts of choice. Make the best first impressions with professional-looking gear which is guaranteed to work without a hitch. 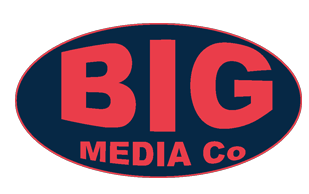 Gain instant peace of mind with Big Media. Our time-served and knowledgeable specialists are dedicated to the utmost in customer care. Top condition kit is vital to ensure that your important day goes to plan. Save yourself the worry and hassle of complicated wiring and difficult machinery by entrusting experienced and knowledgeable specialists with the task. Big Media are on hand to get the job done, adapting to your venue and tailored our services to your specific needs and requirements.